We have made it really easy and fun to shop online for custom drapery hardware. On our store you will find the complete assortment of drapery hardware including but not limited to: curtain rods, finials, end caps, holdbacks, all sorts of curtain brackets, elbows, rings, sconces, rod connectors and more. The steps below explain exactly how to shop on our online store. From our home page, you have several options to get started. You can use the PRODUCTS button, which is located in our main navigation to access all our drapery hardware products. Simply hover your mouse over the PRODUCTS button to activate a dropdown menu which organises all our drapery hardware products in a simple to browse format. If you would like to see a more visual representation of our products, simply click your mouse on the PRODUCTS button to be taken to our main products page which will display all our drapery hardware collections more visually. Next, simply click on the collection you like to view the products in that collection. You can always go back to check out a different collection. Alternatively you can view the slider on the home page and click on the drapery hardware collection that you like best to be taken to that specific products page. Each drapery collection we carry has a multitude of products and product types to choose from. We made the process of building your drapery hardware simple. First choose your finials, then holdbacks, brackets, elbows, rings, rods and connectors. Once you have added the products that you want to your cart you are ready for the next step. When you are ready to make your purchase, click on the Cart button in the top right of the main navigation. On the cart page you will be able to calculate your shipping cost and see the total cost of your purchase. Once you are ready to make your purchase, click on the big orange button that says "Proceed to Checkout". This will take you to our simple, One page checkout where you will provide your billing, shipping and payment details. once you have entered all your details, click the "Place Order Now" button to complete your order. 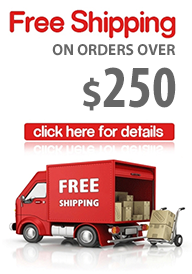 We will then send you an email of your order and we will ship out your order within 48 hours. That is all there really is to it. So sit back and enjoy!